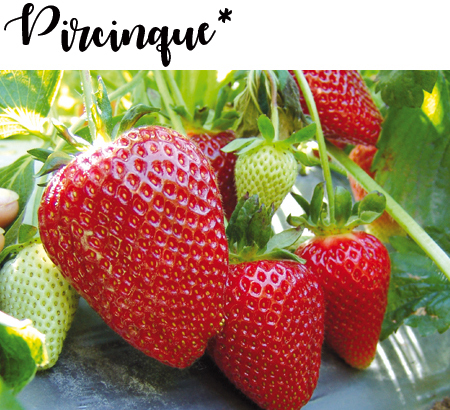 New short-day CULTIVAR suitable for Mediterranean areas, with very-early ripening. The PLANT is high vigorous, with good productivity. The FRUIT is large, elongated-conic shape, regular, it keeps its red bright color also in post-harvest. The FLESH is compact and sweet with a long "shelf-life". It is suitable both for use of fresh plants and bare root fresh plants on not fumigated or not so much fertile soils.